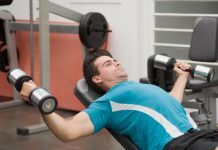 While a variety of implants benefit individuals in many ways, they may present challenges when it comes to working out. However, with care and attention, people can still participate in regular exercise programs to promote good health. Women with breast implants may be concerned about shifting or discomfort, especially when performing exercises that cause strain on the chest. Using the waist and torso may be helpful to avoid strain. 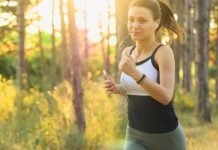 For women who love to run, breast implants may cause more movement than they are accustomed to. Using more support is a good way to address this issue. Competitive swimmers may notices changes as well. Their time may actually be affected and once again, finding a more supportive swimsuit could be the answer. Overall, supportive clothing is important for restraint and to bear the added weight from implants. For individuals who have had knee implants, they should avoid any high impact activities such as jogging and contact sports. Involvement in such sports could shorten the life of the implants. It’s time to think low impact. Walking, mild to moderate hiking, and golf are all acceptable methods of exercise. Swimming and cycling are also good ways to work out that will not do damage to knew implants. Yoga and pilates may also be good alternatives but people need to be aware of their limitations when it comes to range of motion. When it comes to hip replacements,the recommended activities are similar to those for knee replacements. Walking, cycling and golf are low impact activities that often work well. However, everyone is different and if a particular exercise doesn’t feel right, it’s time to make a change. Lifting weights for the upper body is acceptable but those that require squats are not recommended. Contact sports and jogging are definitely not advisable. Otherwise, new replacements may be needed. Regardless of what kind of implant a person has, one needs to think carefully about different forms of exercise. Talk with the doctor about any limitations and recommended alternatives. Most importantly of all, people need to listen to their bodies. If a particular form of exercise is causing pain or discomfort, it’s time to modify the activity or discontinue. While exercise is meant to push a person and build endurance, there is good pain and bad pain. Individuals should be aware of what kind of pain is not bearable and adjust their exercise routine accordingly. Previous articleKid’s Fitness 2012 – What Are the Best Choices?